Four-legged friendly, fabulous wines, and food. When traveling through wine country, that last bit is pure gold. Well, you can get all three with a stop at Barton Family Wines & Grey Wolf Cellars, conveniently located right off of Highway 46 in Paso Robles. 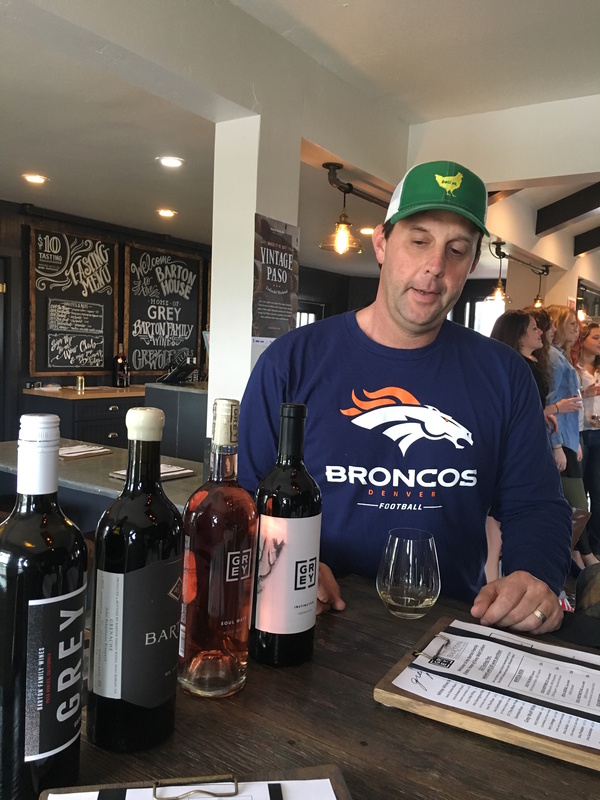 The super casual tasting room is owned and operated by Joe Barton who’s carrying on the Grey Wolf Cellars family business, one his father, Joe Sr., started back in 1994. Today Joe (Jr.) has turned that family business into a family legacy, offering more wine types in his humble farmhouse-turned-tasting room than many major players in the area. To accommodate, he’s even created a secondary label, Barton Family Wines, which include wines of personal interest to Joe and are, admittedly, for the more discerning palates. Barton Family Wines and Grey Wolf Cellars remains a boutique operation, producing just around 5,000 cases annually. That boutique feeling translates to the visit — there’s enough space at the bar to get one-on-one attention with your host, and enough seating, inside and out, to just hang out on your own. And with such a large library of wines, there’s something suitable to every tastebud. Whether a Barton Family Wines exclusive or a Grey Wolf Cellars daily drinker, each of Joe’s wine have a clear sense of time and place. Unlike many winemakers you’ll meet in the area, Joe’s palate much prefers white wine. And, as a self-proclaimed foodie, he has a solid line of white wines with enough form and structure to stand alongside a hardy meal. Be sure to try the uncommonly planted Chenin Blanc (under the Barton Family Wines label) — smooth in texture, yet light and lofty on the tongue, there’s a thing line of acidity that culminates into a lively, tart, and tangy finish. For something with a little more body (or for red wine drinkers who think they don’t like whites), the classic Rhone blend of Marsanne, Rousanne, and Viognier (called “Sentinel” under the Grey Wolf Cellars “Grey” label) will provide a funky, nutty aroma with a cool, but creamy palate, and a solid finish that speaks of dusty earth and brambly branches. Classic Rhone blends are all over Paso Robles, but very few wineries offer single varietal bottlings of each ingredient. Joe’s got them all. If available, ask to try some of the more “obscure,” “blending” varietals like his 100% Counoise and his 100% Tannat (both under the Barton Family Wines label) — it’s a great way to appreciate those often “secret” ingredients in Rhone and Bordeaux-style blends. INSIDE INFO: Remember that food I was talking about? 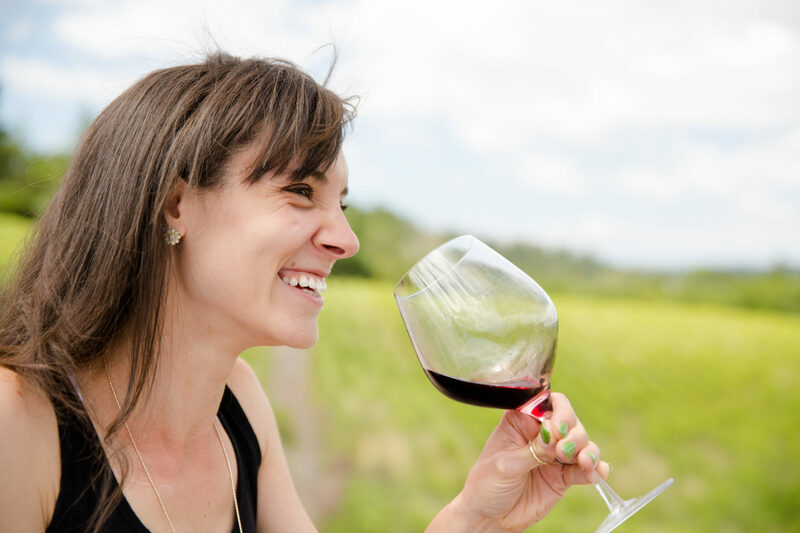 Barton Family Wines has a full menu (read: you can show up here hungry and expect more than a cheese platter), courtesy of Barton’s Kitchen Window run by local chef and family friend Jeff Weisinger. All meats — from the tri-tip to the tuna is slow-smoked to perfection. Enjoy paninis, quesadillas, or the house specialty, Paso Mac & Cheesesteak. Me and Joe? We like the simple Baby Spinach Salad complete with toasted almonds, dried cranberries, blue cheese crumbles topped with succulent smoked chicken. Thank you to Joe for hosting me on my visit to Barton Family Wines & Grey Wolf Cellars. For more information about the winery, the wines (and food), to plan your visit or purchase wines online, please visit the Barton Family Wines website.